It has been a while since I last posted a cookie recipe. Not that I had noticed. Until it was pointed out that there had been no cookies in the house for some time. That was done quite pointedly too. In a nice, pointedly manner. To make up for the over-sight on my part, I baked cookies. An entire batch of them. That sounds like a lot but it really does not mean anything as the pigs people in my house can polish that off in roughly about 5 minutes? If that? This is a fantastic recipe. If you like cookies that are cripsy at the edges and chewy in the middle, then this is the cookie to make. In a mixing bowl, I creamed the butter and sugars until the mixture was light and fluffy. Into this, I added the egg and vanilla extract, and continued mixing. Until the egg was completely incorporated. Then the sifted dry ingredients were added in 3 parts. And mixed after each addition. Keep mixing, until you cannot see any more streaks of flour. Then add the chocolate chips. And mix. This is where I am going to sound like your mom. CHILL THE DOUGH for at least 2 hours. I chill mine over-night. Why? Because!!! Once the dough had been chilled, I used an ice cream scoop to dish the cookies onto the baking tray. You can also roll the dough into balls with about 1-inch diameters and place them on the baking tray. It is important that you do not over-crowd the baking tray. When too many cookies are placed into the oven at once, the change in the oven temperature is too great and that will affect how the cookies bake. The cookies were baked for 12-13 minutes, or until they had turned golden brown. Once the cookies are cooled, store them in an air-tight container. I am so thrilled to have reached my 100th post! To celebrate, I am conducting my very first give-away! Do you like my cookie condo? I use it to cool everything I bake! And I have 2 sets (each consisting of 3 tiers) to give away! 1. Cream butter and sugar until batter is light and fluffy. 2. Add egg and vanilla extract. Beat. 3. Add flour and bicarbonate of soda, in 3 parts. Beat. 4. Add chocolate chips. Incorporate using pulse function. 6. Bake at 180C for about 12-13 minutes, or until cookies turn golden brown. 7. Cool on tray for 10 minutes, transfer to cooling rack. 8. Store in air-tight container lined with kitchen towel for up to a week. 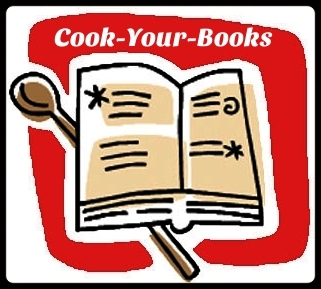 I am submitting this post for Cook-Your-Books hosted by Kitchen Flavours. I will like to try cooking Braised Pork in Light Soy Sauce. It will be great to have it with kuay chap. My kids favorite dish! Thanks for hosting the giveaway! I like marble pound cake! Would love to try out your Blueberry Upside Down cake. My favourite so far: the ultimate one-bowl chocolate cake!! And I will try this cookie one sooooooon!! Ayoh!! Forgot to say which recipe I wanna try. I've tried most of your cakes btw. So I'm gonna do that one bowl chocolate cake thingy! Definitely the chocolate chip cookies!!! Who doesn't love chocolate chip cookies? Would love to try out the banana bread cake too! I hope to win the cookie condo ! I am so gonna try it this weekend! I want to try the Braised Pork in Light Soy Sauce too.. one of my fave dishes! Been wanting to try the Chocolate nutella cookies!!! Got all the ingredients at home. am gonna try the chocolate nutella cookies! Thanks for hosting the giveaway! I'm direct! I want to win the cookie condo!! woohoo!! I wanna try more than one recipe but your hae bee hiam recipe ranks top on the list! I want to win the contest & also want to try your recipe.. now craving for cookies!! My family loves chocolate. This chocolate chip cookies recipe is a must try. I would love to try the chocolate chip cookies recipe. i want to try air-free-recipe! Hmm. U know it's how hard to choose one favorite recipe cos all looks nice and I wanna try all!! 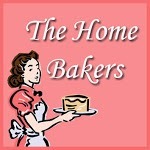 Hope to win as I moving into my new hse soon.. can start baking! The cookies look soooo tempting! And I will love the win the cooling rack too! OOOH! Would have to be the thai basil pork recipe! Thanks for the giveaway Diana! I have to say the chocolate chip cookies, because the other day I made some cookies and they were a tad on the disappointing side so I'd like to make some that taste delicious and these look like winners. I'll definitely be trying this one! Just stocked up on baking supplies yesterday including a tray and chocolate chips! I did forget to grab some cooling racks but now that I've seen the cookie condo, I'm glad I forgot. Much better! Definitely the steamed glutinous rice with roast pork, mushroom and lup cheong. Looks really inviting and delicious. I'm always up to trying another variation - 'the ultimate one-bowl chocolate cake'! I want to make your chocolate nutella cookies and then cool them on that rack! These chocolate chip cookies sound perfect, going to give them a go this weekend. I would love to try and make the Passion fruit and Raspberry Chiffon Cake - although it does sound kind of intimidating. Kind of like macarons. I'm afraid to make those. Haha, my kids have been hinting about cookies too! Not only them, my nephews have been hinting too, and they are no longer in their teens!! These cookies look wonderful and with a glass of cold milk would be great! I love the cooling rack, have been eyeing them for so long! Would love to take part in the giveaway! I think I can try making the Ham and Cheese Wheels with my Princess! 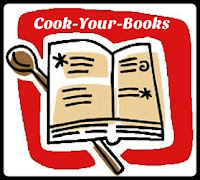 I would love to try your chocolate chip cookie recipe!! Looks easy and my family simply loves cookies!!! Looks good! Would love to try!!! yum! Imma gonna try the Chocolate Chip Cookies recipe! These will be the perfect 4am tv snack for me! All for me! None for my husband and son because they don't appreciate chocolate the way I do. Mwahahha! Its always a delight visiting you! And those cookies are awesome! Happy 100th post, wishing you 100s more! But for sure, the recipe is what makes me sign up and stay on here! :D Shall try this out soon! Love the smell of cookies-a-baking in the house! I'd love to try this recipe! I've never chilled dough before but so keen to try it now. Those cookies look delectable! The Chocolate nutella cookies sound yummo!! ♥ choc chips cookies and gonna try out this soon. Recipe so detailed. Thank you for the giveaway! Shall try out others too! No one can say no to chocolate chip cookies! Chocolate chip cookies for me!! My kids and hubby are chocolate lover!!! I tried this recipe last weekend and it was much better than the premix I used to buy. No more premixes for me. Thank you!! gonna try this choc chips cookies. I'm so gonna try this. Am sure it will be a hit with my family! I would love to make fudge, I love to eat it but making it looks too difficult. looks yummy ! will try it soon ! The Spicy Chicken with Pan-roasted Shredded Coconut looks so yummy! I might have to give that recipe a try. Hi Diana, addictive cookies and nice giveaway. Love the cooling racks. regards. I really love to try this chocolate chip cookie recipe and to cool them in this cookie condo too! Thanks for the chance to win. This has been in my wish list since I saw it in TOTT. Wish my wish comes true. I'd LOVE to try the blueberry cheesecake, it looks so delicious & would be the perfect summer dessert to share with the family :) thanks for the chance!